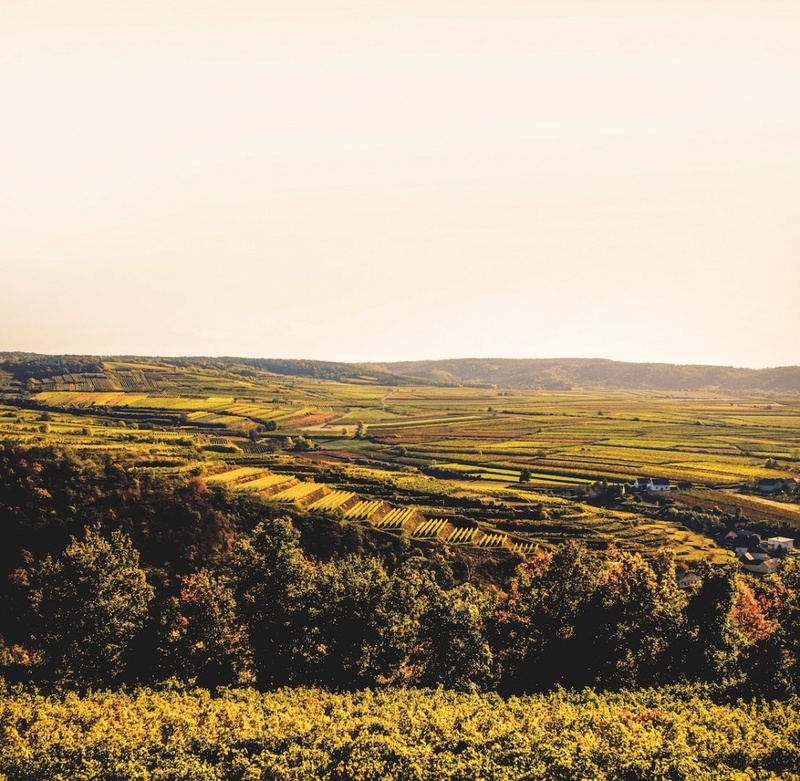 In the Kamptal, the vineyards (»Rieden« is the Austrian word) bear names that have been heard for centuries: Steinhaus, Steinmassl, Loiserberg, Heiligenstein, Schenkenbichl, Hasel or Käferberg. 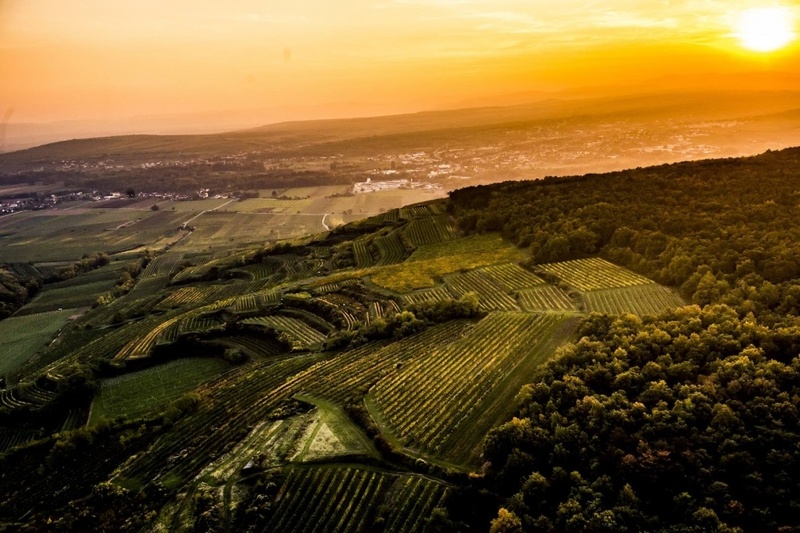 One may convince oneself in tasting through the single-vineyard wines of the Kamptal that this nomenclature makes sense not only in terms of orientation, but also in defining the individual ‘flavour of origins’. 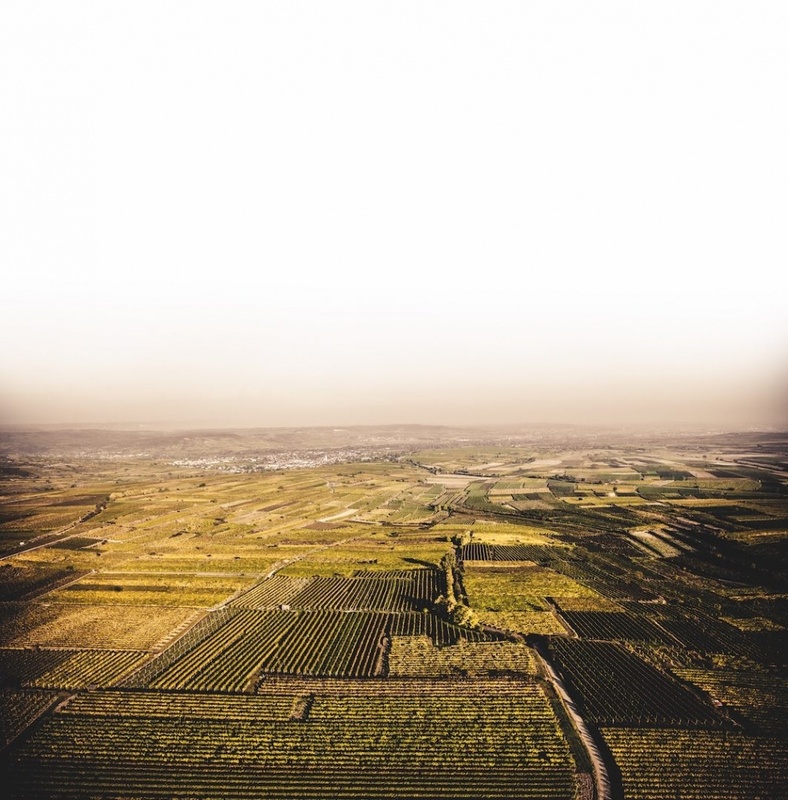 The soil here is characterised by deep loess, so that the vines enjoy an optimal water supply. 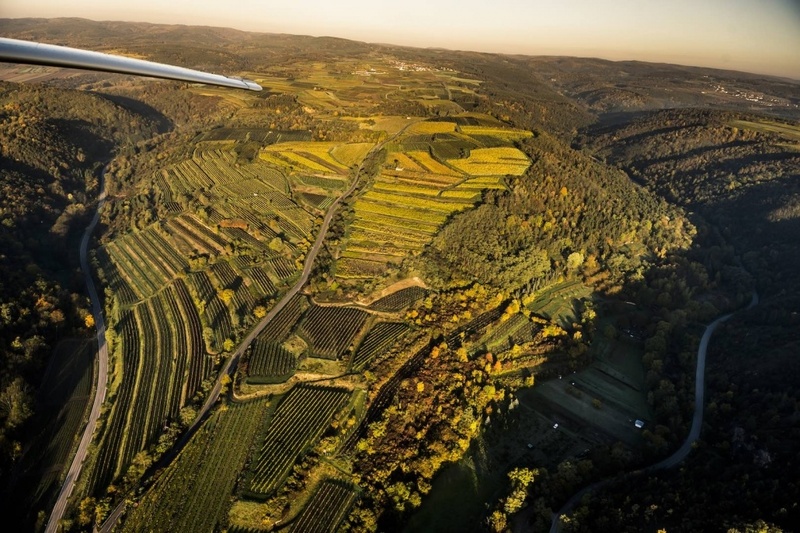 Due to its southeasterly orientation, the vineyard is sheltered from the northeast, which encourages an even ripening of the grapes and makes Dechant a good ‘red-wine island’ in the Kamptal. The gneiss is covered here by a thin layer of brown earth. However, the vine roots have to penetrate the hard rock millimetre by millimetre, primarily through the cracks and crevices in the brittle gneiss. This favours the formation and expression of refined and elegant aromas. The pure southern exposure with a steep slope allows the sun’s rays to fall on the terraces at the optimum angle, and because of the open, well-ventilated site the grapes are less prone to disease. At the same time, the Fahnberg is wonderfully protected against cold winds from the north by a dense coniferous forest. Gaisberg is the southeasternmost spur of the Manhartsberg – from this point toward the east and south, completely different geologic and climatic conditions prevail. The transitional horizon makes the southern exposure of this vineyard particularly special. 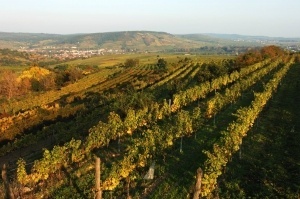 The single parcel in the lower part of the Gaisberg, the Offenberg, is characterised by its special soil and microclimate. 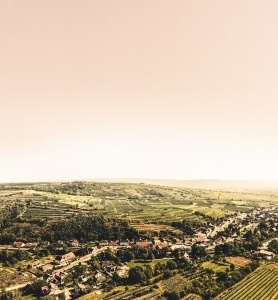 Here the ground is covered with a delicate layer of loess, offering optimal conditions for growing Grüner Veltliner Kamptal DAC of a distinctive kind. 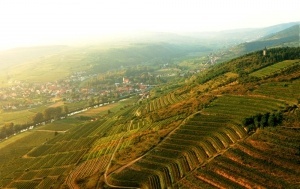 A kettle-shaped vineyard located between Heiligenstein and Gaisberg, sheltered from three sides and open to the southwest. 20,000 years ago, this protected site served mammoth and reindeer hunters as a welcoming habitat. The calcareous soil is composed of loess with the consistency of loamy-sandy silt, with locally embedded veins of gravel and slack coal – thus an ideal terroir for fine Grüner Veltliner. The name Hasel is derived from the hazel tree, which loves well-nourished environments. The soil was formed in the dry, cold climate of the Ice Age when rocks such as quartz, lime, mica and clay particles were pulverised by glacial action (extreme pressure). These soils will hardly ever suffer from drought, as the loess provides an enormous reservoir for retaining moisture. 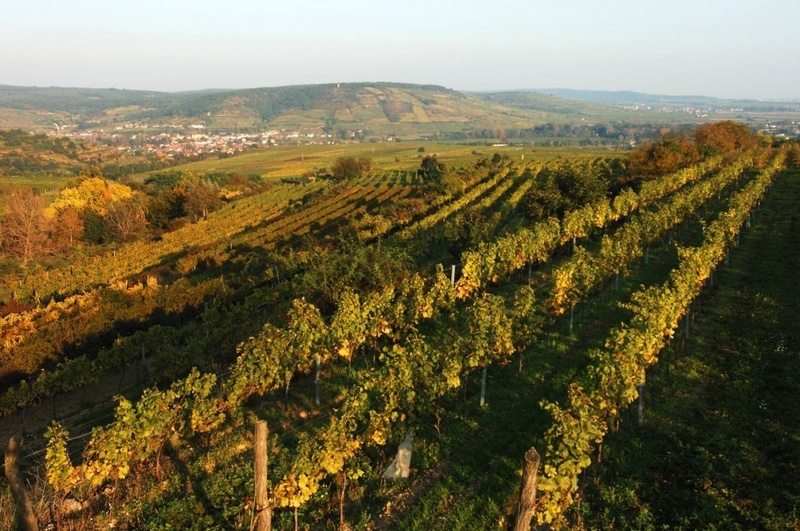 The centrepiece of this vineyard, expanding gently to the south, is called Mittelhasel. 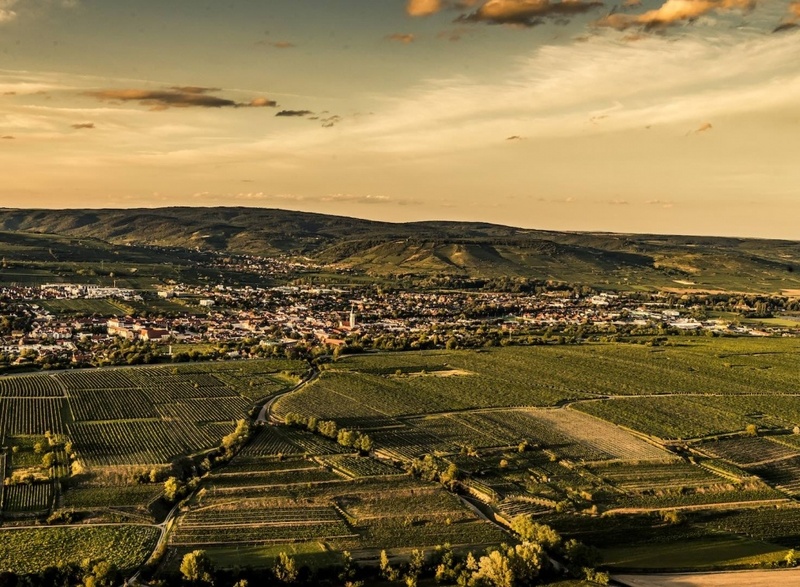 In this site, robust and dense wines are the rule – highly ripened Grüner Veltliner Kamptal DAC, wines that exhibit a harmonious combination of power, body, pronounced spiciness and elegance. 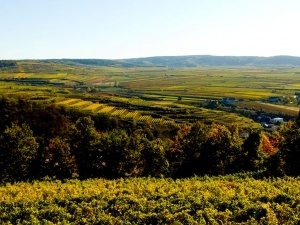 The Heiligenstein, with its reddish, weathered desert sandstone and volcanic conglomerates, is one of the best Riesling vineyards in the region. Between the parcels of vines one finds flora and fauna otherwise common only to far more southern, Mediterranean locales. The hard mother rock releases the site-specific minerals into the grape clusters and yields wines with a very specific terroir profile. This shell-shaped kettle, open to the south, creates a special microclimate that promotes the varietally typical fruit flavours of the Riesling Kamptal DAC. The Käferberg is located at the upper end of an east-facing hillside, at about 300 metres above sea level in the north of Langenlois. In the middle part of the hill, loess soil predominates. Here differing layers of topsoil appear in alternation; in addition to slightly sandy zones, there are also heavy clay soils here, while in-between one finds Gföhler gneiss again and again. 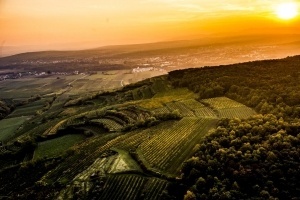 The Käferberg is home to a very distinctive and cooler microclimate, which in concert with the different soils accounts for the special charm of the site. In this microclimate, the Veltliner grapes can hang on the vines until they reach optimum physiologic maturity. As a result, they develop prominent minerality and develop into finesseful and elegant wines. 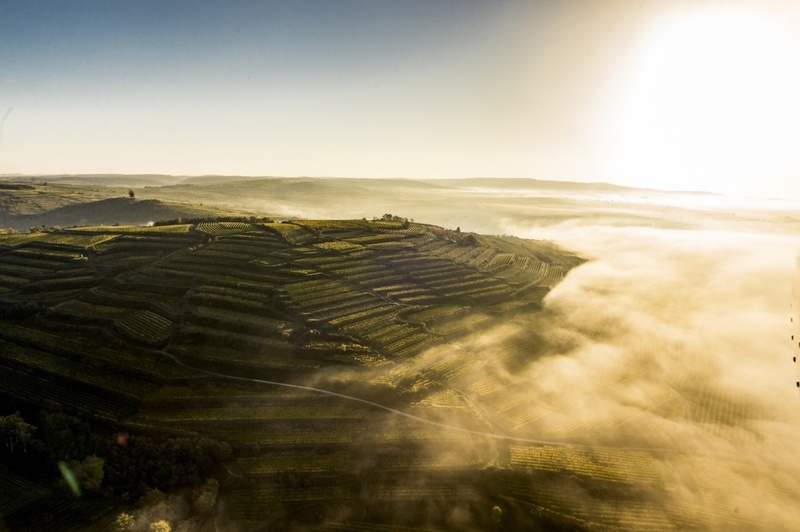 With a ‘summit’ of 345m above sea level, this is one of the highest-situated vineyards in the Kamptal. 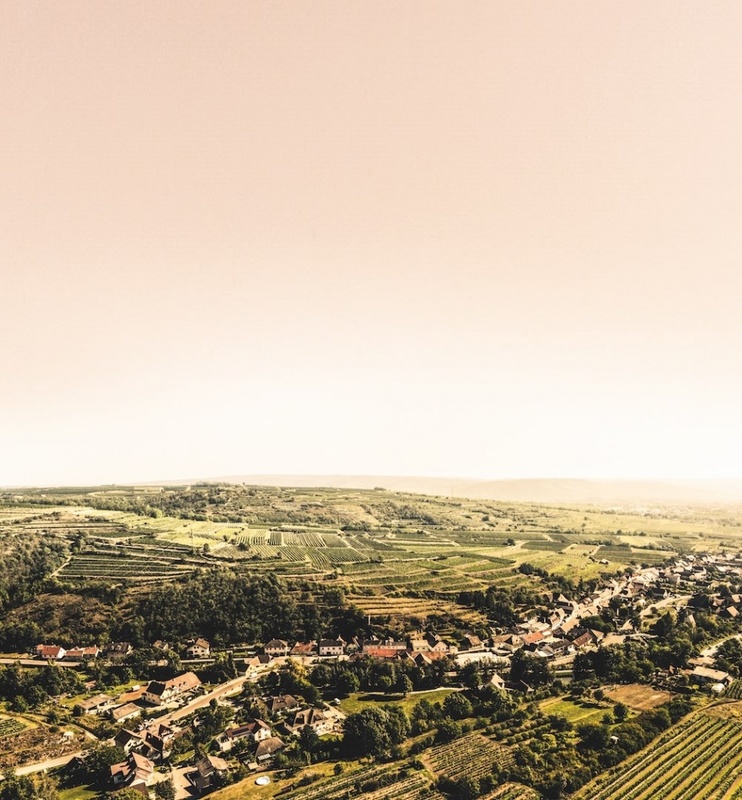 From the top, one can look down into a wide cauldron, which opens to the southeast in the Langenloiser Basin and protects the vineyards from the wild Waldviertel winds. The soils here are deep and calcareous, composed of loamy-sandy silt, formed from the widespread and multi-layered loess. A good site for particularly well concentrated, multi-layered Veltliners. The Zöbinger Kogelberg is a spur of the Waldviertel high plateau, and one of the northernmost among the Kamptal’s top sites. 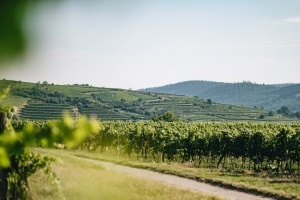 The southern slope is partitioned into terraces and the great temperature variation between extreme sunshine during the day and fresh Waldviertel night fosters the finely grained texture of the wines grown here. The bedrock is formed by crystalline stone (»Urgestein«, primeval rock), predominantly mica schist and amphibolite. A combination that gives the Rieslings growing here a fresh, northern accent. Here widely varying types of soil prevail: partly sandy, partly cohesive clay loam, while in other spots there are veins of mica schist that reach almost to the surface (Gföhler gneiss). The soil promotes very good water retention and thus guarantees an optimal water supply during the entire vegetation cycle. 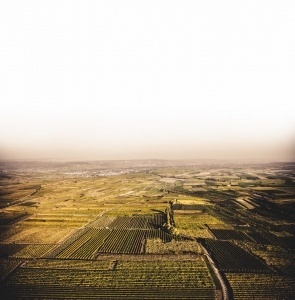 A special microclimate is created here by the depression or hollow in the terrain, protected against storm and wind, expressed in even warming throughout the vineyard. The high potash content of the soil ensures concentrated wines with a finely spicy flavour. On the southeastern slope of the Heiligenstein and one of the hottest locations in the Kamptal. This vineyard takes its name from the soil: ‘loam’ or »Laam« coalesces with loess in the fertile, profound subsoil. In the upper parts toward Heiligenstein, siltstone and sandstone of the Zöbing Formation, which are lying underneath loess, come to light. Many top estates cultivate highly expressive, multifacetted Veltliners here. The Loiserberg is the westernmost elevation in the direction of the Waldviertel, and thus enjoys a very special microclimate: while its sun-exposed terraces are famous as heat traps, the vines here are at the same time constantly bathed in cooler winds from the rougher Waldviertel. This mix of warm and cool air is particularly helpful for developing aromaticity, even adding some exotic notes to the melody. The south-to-southeast facing crystalline rock foundation, covered by a particularly thin layer of humus, provides the vines with an extremely barren substratum, so that the roots must penetrate deeply into the stony ground to obtain the necessary nutrients. This difficulty in obtaining nutrients yields wines with a pronounced, multi-layered character and profound cores of sweet fruit. A western spur of the site Kammerner Gaisberg, separated from Lamm by a gully. The soil is calcareous and consists of loamy-sandy silt that formed upon loess, mixed with background sediments of crystalline rock such as gneiss, amphibolite and mica schist. 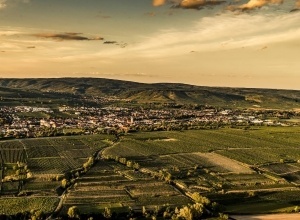 An ideal location for fresh and light Grüner Veltliner. The vineyard site Schenkenbichl features a profound soil profile throughout, with rare brownish black earth. This allows the vines to root themselves particularly deeply and absorb the nutrients and minerals from various soil layers. The breezy southern exposure favours the flow-through of warm western winds. The grapes can thus hang here in a completely healthy state until the late autumn and achieve the desired natural concentration. 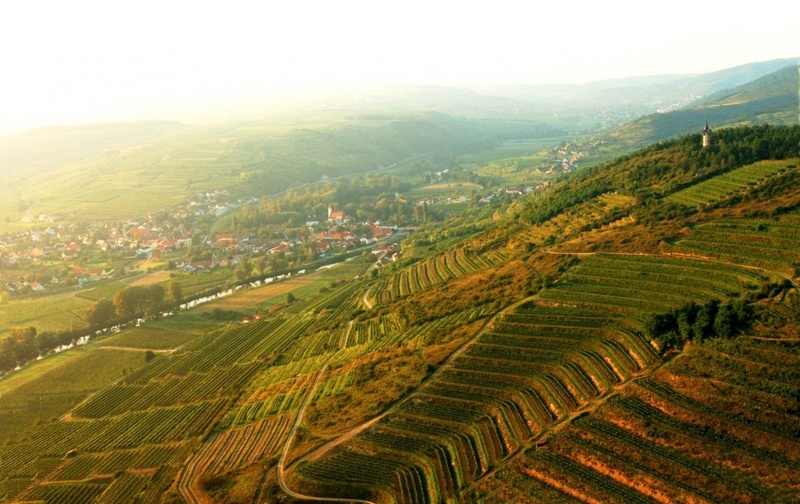 Accordingly, Veltliner vines in this site produce wines of particular authority, power and expressiveness every year. 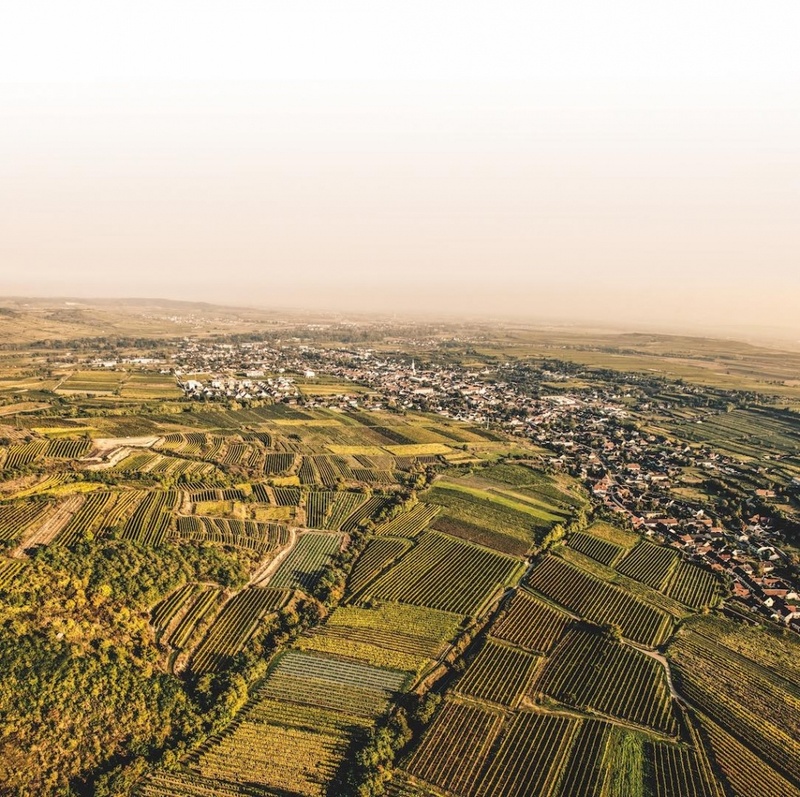 Located in the western part of Zöbing and facing south, Ried Seeberg is situated at some 300 metres above sea level. 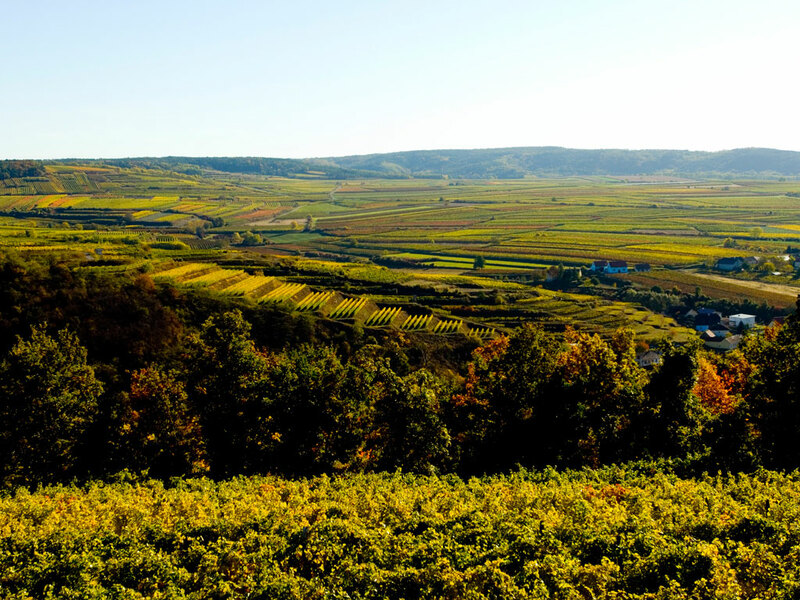 From a climatic point of view, the site falls under the influence of the cool Waldviertel. The special dynamic tension between hot days and cool nights allows the grapes to ripen slowly and produces a particularly prominent core of vivid fruit in the wines. Sand and clay alternate here with veins of mica schist that reach almost to the surface. This mixture yields finely fruity and spicy wines with good concentration, and is especially suited to producing Riesling Kamptal DAC. As seen from the Danube, Spiegel, a south-facing site at about 250 metres above sea level, lies before the town of Langenlois. Here one encounters a profound layer of loess (up to forty metres), which becomes sandy and light on the surface. Thanks to the profundity of these soils, vines can root very deeply here and survive even long periods of drought unscathed. Thanks to the nature of the soil, particularly well-concentrated and complex Grüner Veltliner Kamptal DACs thrive here. Stangl is a southerly-exposed kettle that forms an extension of the Wechselberg. It is composed of loess-clay soil and sandy, lime-free clay in various forms, which is tinted yellowish-brown by iron compounds. Due to the composition of the soil and the special microclimate of the kettle-shaped site, vines enjoy ideal conditions here. A south-facing hillside above Engabrunn. Various sorts of rock are collected in a small space underneath the blanket of loess: marine gravel from a sea that flowed here some 16 million years ago, and hard Gföhler gneiss from the group of old, crystalline rock forms. The latter is most likely to thank for the name. The topsoil consists of a very thin layer (up to forty centimetres) of loamy/sandy clay, in interaction with gneiss and mica schist. A relatively large proportion of loose stone has risen nearly to the surface because of volcanic incisions. On the one hand, this results in more difficult cultivation, while on the other hand, the rocks store the daytime’s solar energy and release it into the night. This leads to particularly even ripening and an expression of terroir-flavoured aromas, even as the wines are light on their feet and quite animated in character. In the west of Langenlois the slopes become steeper and the soils more stony. Ried Steinmassl, at about 300 metres above sea level, is located on one of these slopes, exposed to the southeast and is thus protected by cool winds from the west and north. The subsoil consists of Gföhler gneiss with slightly weathered, glittering silvery mica. The brown earth is interspersed with a greater than average presence of stones, which complicates the work in the vineyard. But the loose rock also has advantages. It offers excellent heat storage and continues to radiate warmth even after sunset. The mighty Wechselberg rises on the eastern arm of the Strassertal and faces south. The soils are weathered crystalline soils of the Bohemian Massif, or crystalline slate. Due to the orientation of this site, the vineyards are flooded with intense sunlight all day long. Thanks to the elevation of the Wechselberg there is a special microclimate here; at night a gentle breeze brings cooling to the hot summer air. 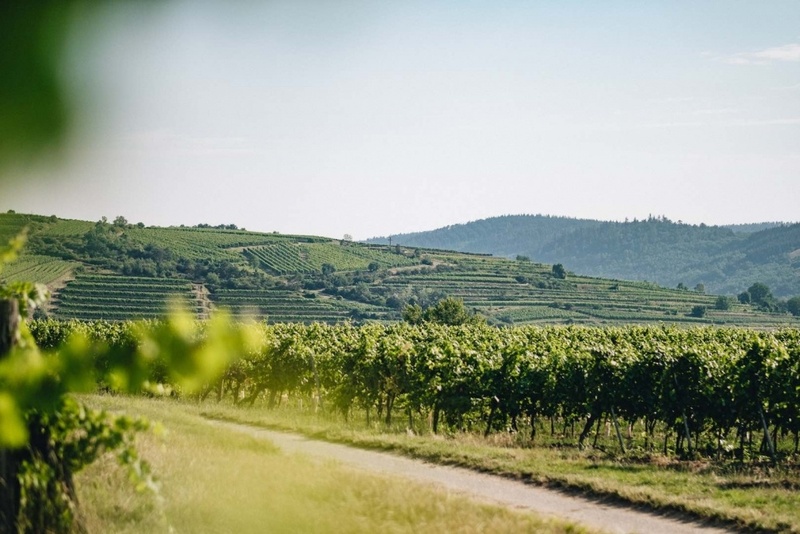 This creates a temperature swing, which in turn ensures excellent development of aromatics in the grape – a circumstance that makes it almost obligatory to plant Grüner Veltliner and Riesling in the parcels on the Wechselberg. 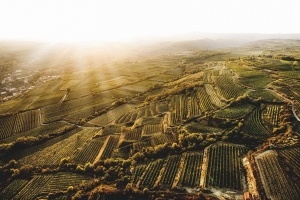 From the early morning hours to the evening, this vineyard lies in intense sunlight. Since this steeply sloped site is located in a geologic basin, fog accumulates in the autumn, so that the vines can absorb additional moisture through their leaves, which in turn leads to a lovely and dramatic development of aromas in the wine. The soil formation consists of slate millions of years old, created under high pressure from clay and mud in the deep sea. 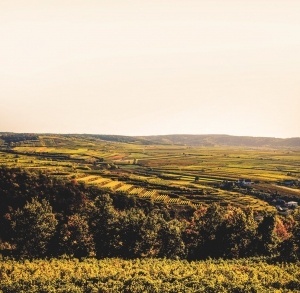 This soil has excellent heat storage capacity – an ideal prerequisite for the Riesling Kamptal DAC.